We're totally unprepared to address what comes next. You aren't imagining it. Here's what really attracts the little biters—and how best to avoid becoming their next meal. The Zika threat is causing great concern at the Rio Olympics, with some athletes having chosen to avoid the Games altogether rather than risk infection. But among the measures being taken around the world to combat this danger, one is notably absent: the use of DDT. And one you might not know about. Lawmakers Enjoy Vacation While Zika Spreads To U.S. They left for a seven-week break without passing funding to deal with the crisis. Now what? More than 3,600 people in the U.S. and its territories have already been diagnosed with the disease. Congress is finally answering the call to address the alarming infectious disease threat of the Zika Virus. However, the level of funding included in their recent votes is not close to enough. The effect will be particularly disastrous for local governments across the country. Lawmakers didn't pass funding before going on vacation, but set a path to use that money as leverage to weaken clean water and trucker fatigue rules. 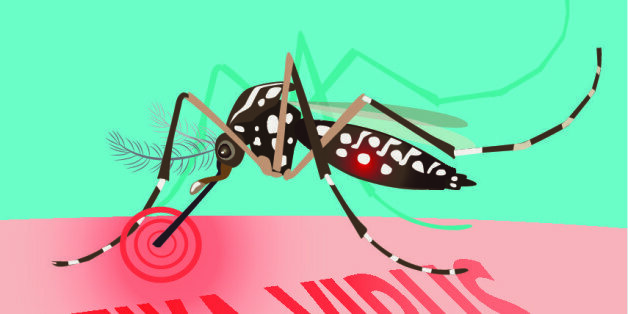 All of us encounter a pesky mosquito from time to time. For most people, it's little more than a momentary nuisance. A nip, a few days of itching, and we move on with our lives. Many people don't get by so easily, unfortunately. Early in my career, I was galvanized by a disease that ravaged my country and many others around the world: malaria. My personal experiences with malaria in the field as a young public health officer twenty-seven years ago had a profound effect on my trajectory. A future without malaria belongs to those who can dream about it, but more important, to those who create the future they want to see.